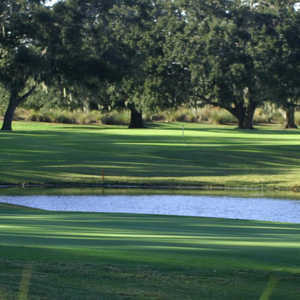 The 18-hole North Shore Golf Club in Orlando, Florida is a semi-private golf course that opened in 2001. The course slides around lakes and wetlands, and then detours through a grove of large ancient oak trees before re-emerging into the clear at the finish. 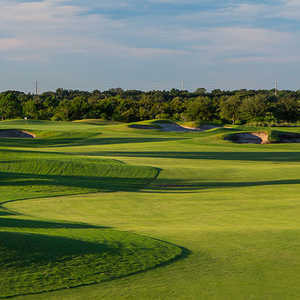 It has two distinct nines converging to form one remarkable 18-hole layout. 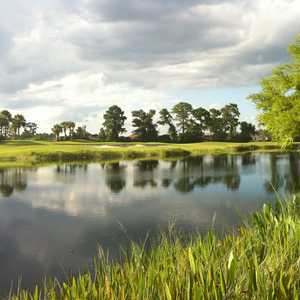 Begin your round on the Modern nine, winding through native wetlands and Florida's natural topography. The Classic nine is carved through a grove of 100-year old oak trees, creating an enjoyably unique setting for your finishing holes. North Shore Golf Club is located less than 10 minutes from Orlando International Airport and offers a complete practice facility and world-class instruction. Great course at a great price. I would recommend to everyone.